It's a dramatic remake of the classic dragon adventure. After years of speculation and more than a little teasing, it's official: the Spyro series is getting a remake. 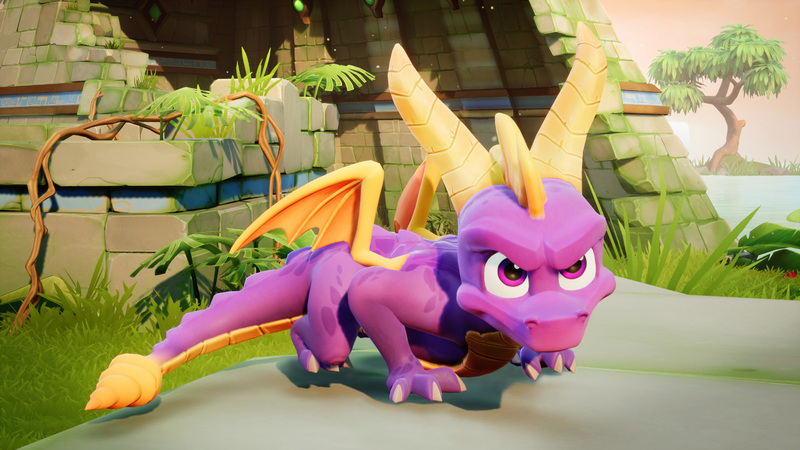 Activision and Toys for Bob have unveiled the Spyro Reignited Trilogy, which reworks the first three Insomniac-made games (Spyro the Dragon, Spyro 2: Ripto's Rage and Spyro: Year of the Dragon) for PS4 and Xbox One. Not surprisingly, the graphics get the biggest upgrade. Toys for Bob has "faithfully" mapped the original levels, but with loads of added detail and flourishes that weren't possible on a PlayStation 20 years ago. And then there's the characters -- much like the Crash Bandicoot overhaul, Spyro and company look better than the original box art (not to mention Spyro's fiercer appearance in Skylanders). Thankfully, the trilogy also catches up with modernized controls (analog stick support in every game! ), better cameras, updated cinematics, a 're-imagined' soundtrack and improved reward sequences. Like other remakes, it's more about viewing the games through rose-tinted lenses than maintaining the rough edges in the name of accuracy. The Reignited Trilogy arrives on September 21st for $40. Yes, it's yet another bid to cash in on nostalgia for gamers whose childhood consoles have long since been sold at garage sales, but it's hard to complain too loudly. Spyro was one of the original PlayStation's definitive series, so it's good to see it rejuvenated after years of both a string of lackluster sequels and a reduced role as a Skylanders character.